It feels like forever since I’ve posted a new recipe, but man, sometimes life gets busy! I’m sure I’m not alone in this, so I hope you all understand. 🙂 As spring marches in, our calendar is filling up quickly with plans. We have a trips to Seattle and Portland, New Hampshire, and New Orleans coming up right around the corner, and I can’t wait to share some of the amazing food we find! In the meantime, we’ve been eating healthy at home and watching the pounds melt off. We both feel great and have been enjoying our new menus. Don’t get me wrong, we still do a bit of cheating on the weekends. Our new Friday night tradition has been grabbing burgers at the restaurant around the corner before hitting up our favorite dive bar across the street. This treat makes the weekend all the better! We’ve gotten the hang of things now, so our prep time for breakfasts and lunches has gotten better. It can still be exhausting though, spending a couple hours in the kitchen every night after work and the gym. With busy schedules in mind, I wanted to share this quick, easy, and tasty side dish that I really love. Next time you are in a pinch for time, give it a try! As you can see above, you don’t need much. 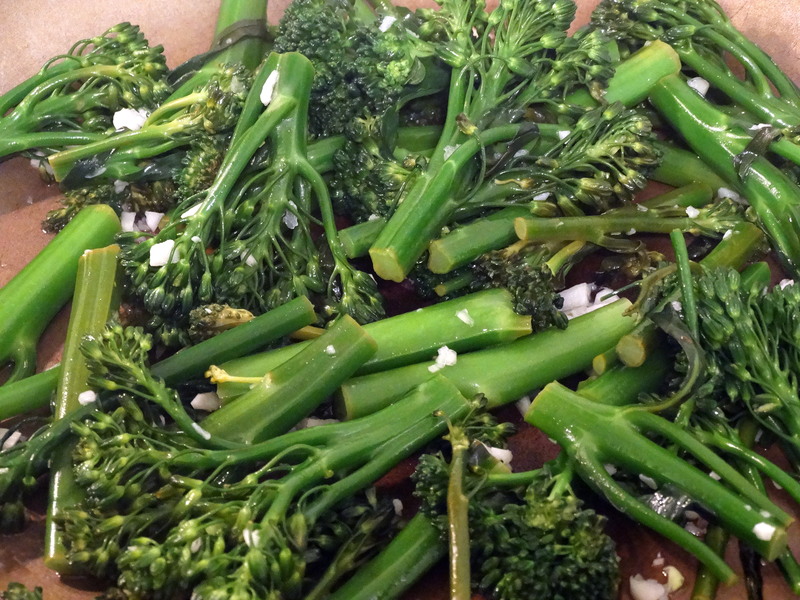 Grab some broccolini, garlic, a lemon, and some oil for sautéing. I used a bit of coconut oil. Instead of broccolini, feel free to use broccoli rabe (also known as rapini), or plain old broccoli. 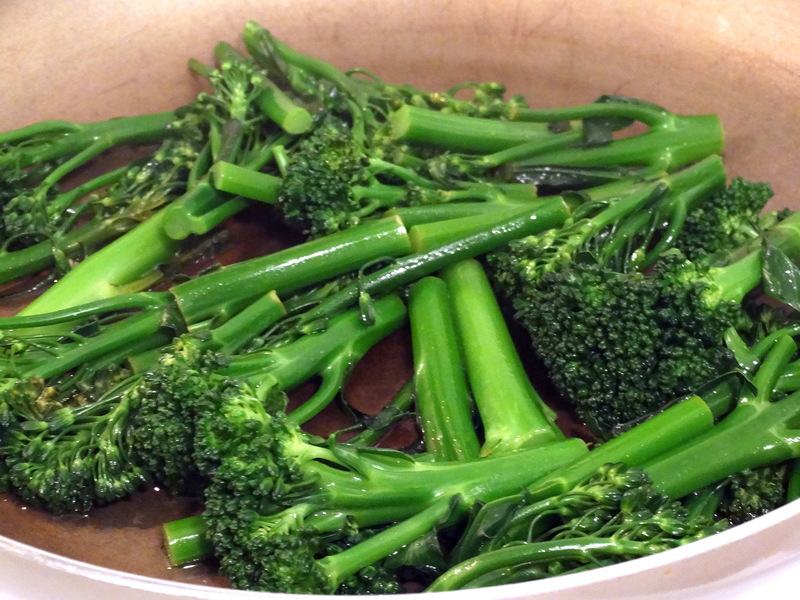 Wash your broccolini and cut off the dried, tough ends. Cut it into 2″-3″ long pieces. Mince a few cloves of garlic. If you’ve been following my blog for a while, you know that I LOVE garlic! 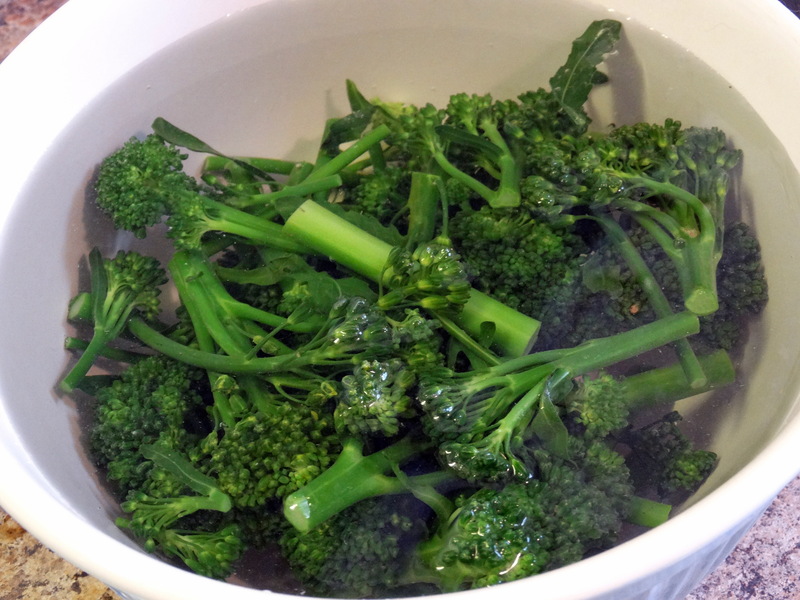 Bring a large pot of water to boil and toss in the broccolini for 3 minutes. Quickly transfer it to a bowl of cold water to stop the cooking immediately. Heat your favorite non-stick skillet over medium high heat and add a bit of oil. You don’t need much, just about 1 tablespoon to prevent the broccolini and garlic from sticking as it cooks. When the pan is nice and hot, toss in the broccolini and sauté for 5 minutes, or until it starts to brown a bit. 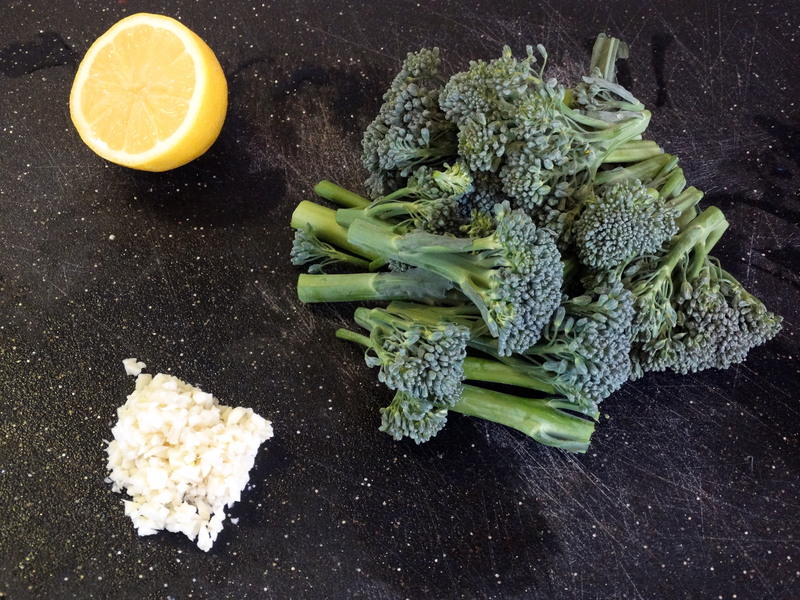 Add the garlic and squeeze some lemon juice (to taste) over the broccoli. Cook for another 2-3 minutes. Viola! That’s it! Enjoy it as a tasty side to whatever you are having for dinner. 1) Bring a large pot of water to boil. 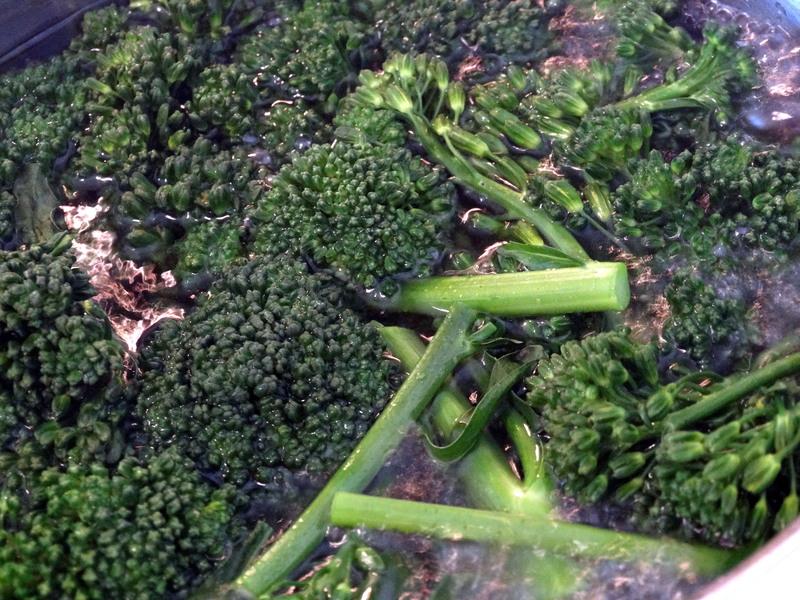 Wash the broccolini and cut off the dried, tough ends. Cut it into 2″-3″ long pieces. Mince a few cloves of garlic. Once the water is boiling, toss in the broccolini for 3 minutes. Quickly transfer it to a bowl of cold water to stop the cooking immediately. 2) Heat your favorite non-stick skillet over medium high heat and a tablespoon coconut oil. When the pan is nice and hot, toss in the broccolini and sauté for 5 minutes, or until some it starts to brown a bit. Add the minced garlic and squeeze some lemon juice (to taste) over the broccolini. Cook for another 2-3 minutes. Enjoy! 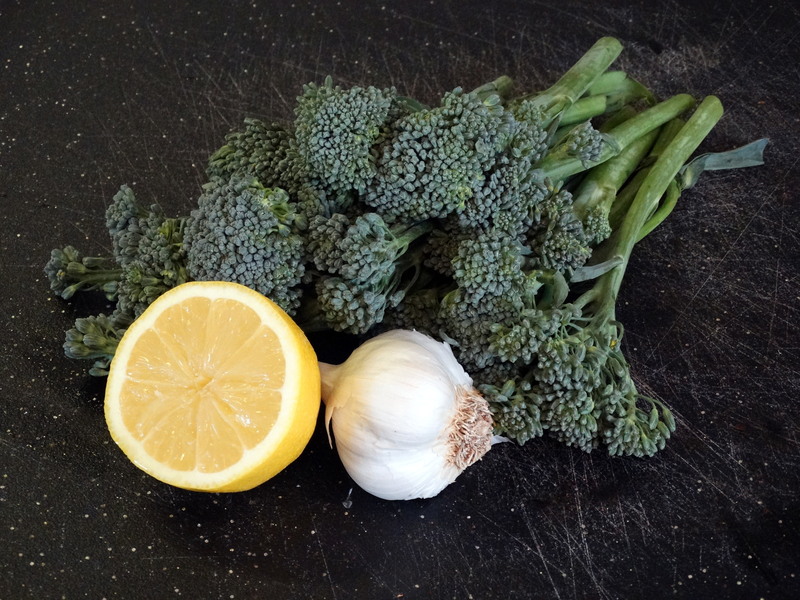 I love lemon and garlic and veggies, I feel like it helps cut the ‘vegetable’ taste for eaters that fight the veggie movement (my bf)…thanks for sharing! I haven’t ever made broccolini before. If you’re interested, I would love for you to share a post at my link up today! Done and done! Thank you for the invitation! !